Day two of NBA free agency is in the books. It wasn’t AS crazy as day one was….but it still had it’s moments (GO ROCKETS!). Here’s what went down in case you missed it. -Los Angeles Lakers sign (SF) Luol Deng for 4-years, $72-million. Deng averaged 12.3 PPG, 6.0 RPG, & 1.9 APG while playing 32 MPG in 74 games for the Miami Heat last season. Tremendous signing by the Lakers. Los Angeles has one of the youngest teams in the league and they need mature veteran players around to help keep the young guys in line. I probably would have preferred a two-year contract for Deng rather than giving him four, but I wouldn’t be too nitpicky if I’m a Lakers fan. After an off-season that saw them hire the unproven Luke Walton as head coach and once again strike out on all the big-named free agents, they’ll take any kind of good news they can get. Deng was a solid signing. 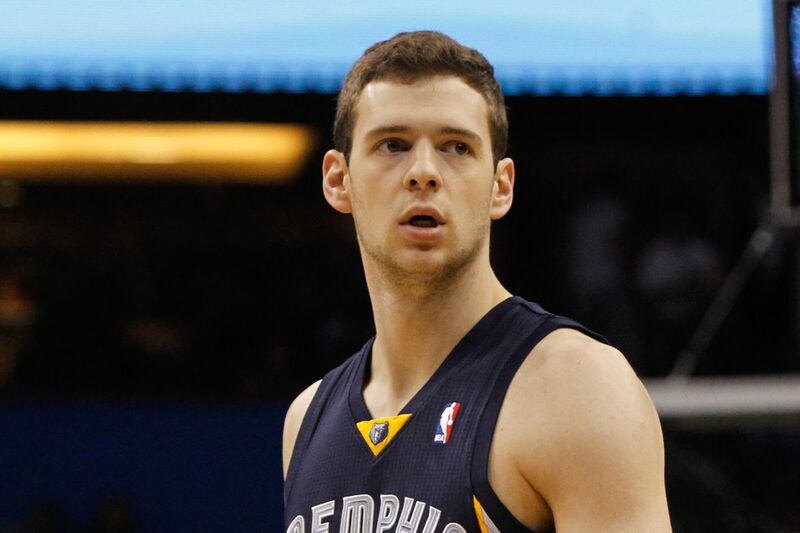 -Detroit Pistons sign (PF) Jon Leuer for 4-years, $42-million. Leuer averaged 8.5 PPG, 5.6 RPG, & 1.1 APG while playing 19 MPG in 67 games for the Phoenix Suns last season. After striking out in the Al Horford sweepstakes, the Pistons reportedly turned their attention to Jon Leuer and locked him up for four years. Even though he’s played on four NBA teams in just five seasons, Leuer is coming off his best season yet. Was it his best season ever because he was a decent player on a bad team or has Leuer actually taken that next step? We are going to find out real quick, but something tells me that this contract could look disgusting in a few years. -Sacramento Kings sign (SG) Arron Afflalo for 2-years, $25-million. Afflalo averaged 12.8 PPG, 3.7 RPG, & 2.0 APG while playing 33 MPG in 71 games for the New York Knicks last season. This isn’t a horrible contract, but it’s not exactly one that I love either. Afflalo is a decent player, but there’s no way I would want to sign him for anything more than two seasons. With this contract, the Kings are basically renting him out for a year and then he becomes a potential trade piece next season. Sacramento definitely comes out ahead in this one. -Orlando Magic sign (C) Bismack Biyombo for 4-years, $70-million. Biyombo averaged 5.5 PPG, 8.0 RPG, & 1.6 BPG while playing 22 MPG in 82 games for the Toronto Raptors last season. I’m not sure how I feel about this one. I’m a fan of Bismack Biyombo and I absolutely love what the guy provides on the defensive floor. However, that’s pretty much ALL he provides on the court. He’s a liability on the offensive side of the court and has never started an entire NBA season. With the money that the Magic are paying him now, he needs to be able to take that next step as a player. I honestly think the best fit for Biyombo would have been to come off-the-bench playing for a contender who is lacking an interior presence. Instead, he’s likely going to be counted on to contribute big-time for the Magic and that could potentially get disastrous down the line. 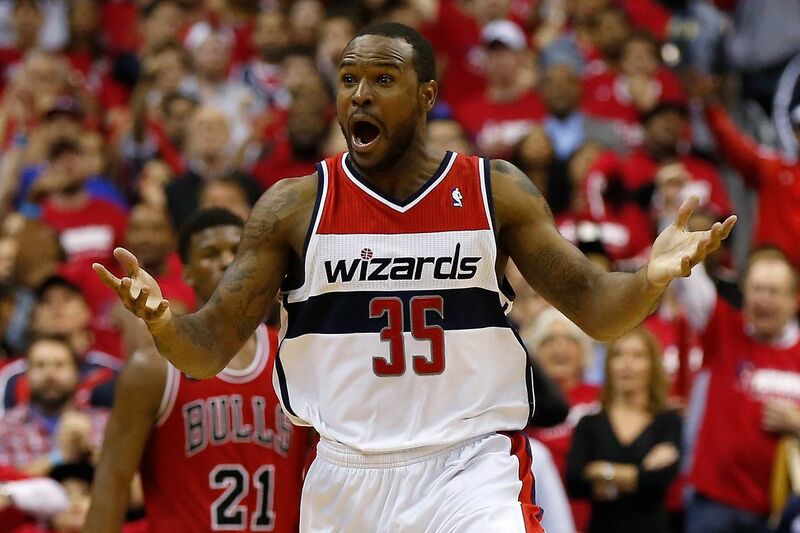 -Brooklyn Nets sign (PF) Trevor Booker for 2-years, $18-million. Booker averaged 5.9 PPG, 5.7 RPG, & 1.1 APG while playing 21 MPG in 79 games for the Utah Jazz last season. This is an “under-the-radar” move by the Brooklyn Nets. Booker isn’t coming to the Nets to be a savior or anything like that. He’s a nice player who will be playing on a “team-friendly” deal and could eventually even turn into a trade piece down the road. Nice pick-up by the Nets. -Houston Rockets sign (PF) Ryan Anderson for 4-years, $80-million. Anderson averaged 17.0 PPG, 6.0 RPG, & 1.1 APG while playing 30 MPG in 66 games for the New Orleans Pelicans last season. This is a great signing for the Houston Rockets who are supposedly building the worst defensive team in NBA history. With Dwight Howard out-of-town now, the Rockets are rumored to be surrounding their franchise player James Harden with players who gel with him. And by “gel with him”, I mean players who are tremendous shooters, but are plain awful at defense. Anderson could potentially be the worst defender in the league, if it weren’t for James Harden. Now you have both of those guys on the same team. I can’t wait to watch Houston Rockets games next season. Who doesn’t love seeing 123-116 scores in NBA games? -Charlotte Hornets sign (SF) Marvin Williams for 4-years, $54.5 million. Williams averaged 11.7 PPG, 6.4 RPG, & 1.4 APG while playing 29 MPG in 81 games for the Charlotte Hornets last season. Solid signing by the Hornets. Williams is coming off a career year in Charlotte and he’s definitely worth the risk. You know what you’re getting with this guy if you’re the Hornets and there’s a chance he can improve even more with a little more stability in his life. -Boston Celtics sign (C) Al Horford for 4-years, $113-million. Horford averaged 15.2 PPG, 7.3 RPG, & 3.2 APG while playing 32 MPG in 82 games for the Atlanta Hawks last season. Tremendous pick-up by the Celtics. Since arriving in the NBA almost a decade ago, Horford has been one of the most reliable big men in the sport. This one is going to hurt the Atlanta Hawks more than you think. Horford is one of those guys that no one really talks about as far as being a “big time free agent”, but he’s going to be one of those sneaky pick-ups that likely ends up paying off. This move will not only help the Boston Celtics improve as a basketball team next season, but it also gives them some leverage in the “Kevin Durant sweepstakes”. Durant and Horford reportedly would love to play with each other and at this point, I think the Celtics will take any kind of advantage they can get when it comes to potentially picking up Durant. 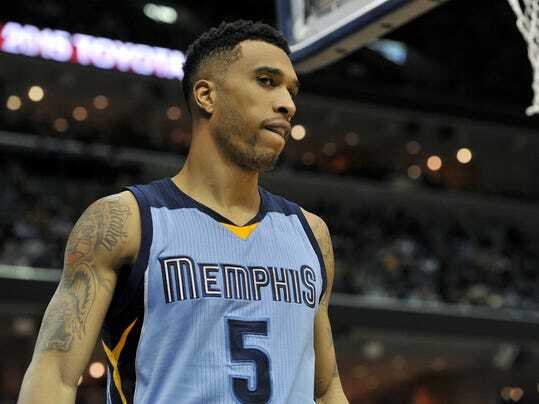 -New York Knicks sign (SG) Courtney Lee for 4-years, $48-million. Nice pick-up by the Knicks who needed to replace the departing Arron Afflalo. Not only did they replace Afflalo, but they replaced him with a guy who is younger and arguably a better basketball player at this point in his career. 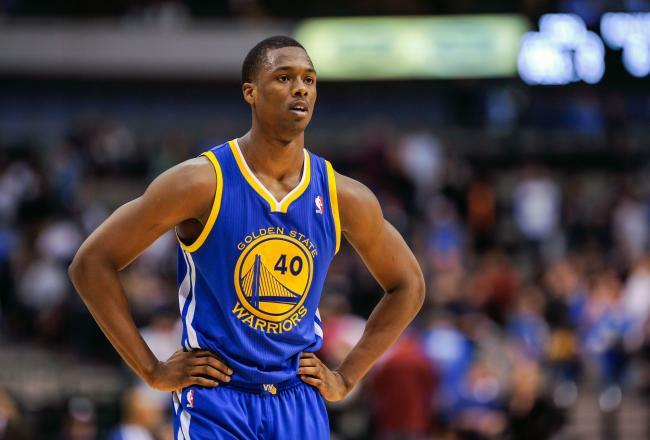 -Dallas Mavericks sign (SF) Harrison Barnes for 4-years, $95-million. Barnes averaged 11.7 PPG, 4.9 RPG, & 1.8 APG while playing 31 MPG in 66 games for the Golden State Warriors last season. This one is far from over as the Golden State Warriors still have time to match the Mavericks offer, and all signs point to them matching it if they strike out on getting Kevin Durant. If the Warriors do pull off Durant and Barnes heads to Dallas, I will go on record and say that he will flop. I’m not a big-time fan of Barnes. While I think he’s a decent player, I think he’s a product of playing on a good team and his value gets exaggerated a little bit. I was nervous when I heard the rumors that the Portland Trail Blazers were considering handing Barnes a max contract, but thankfully that didn’t happen. One of these teams is going to end up over-paying a player who I personally think has peaked. Maybe Barnes can prove me wrong? I doubt it though. -Washington Wizards sign (C) Ian Mahinmi for 4-years, $64-million. 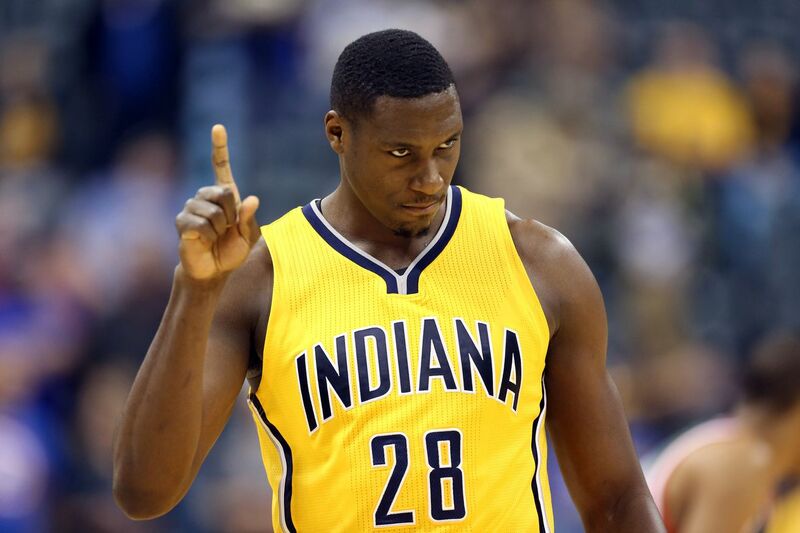 Mahinmi averaged 9.3 PPG, 7.1 RPG, & 1.5 APG while playing 26 MPG in 71 games for the Indiana Pacers last season. It’s a wonderful time to be in the NBA and almost 7’0 tall, isn’t it? Mahinmi is another guy who is getting a ton of money because of his size. I always get nervous when you have to give long contracts to big players (their bodies tend to break down easier) and this one isn’t any different. Luckily for the Wizards though, Mahinmi had a nice season last year as his role expanded in the Pacers organization. I’m just not entirely sure how he’s going to fit in with the Wizards. -Los Angeles Clippers sign (PG) Austin Rivers for 3-years, $35-million. Rivers averaged 8.9 PPG, 1.9 RPG, & 1.5 APG while playing 22 MPG in 67 games for the Los Angeles Clippers last season. DADDY…..I’M COMING HOME! Did anyone really think that “Poppa” Rivers was going to let his boy walk out of town and go elsewhere? Please. -Houston Rockets sign (SG) Eric Gordon for 4-years, $53-million. Gordon averaged 15.2 PPG, 2.7 APG, & 2.2 RPG while playing 33 MPG in 45 games for the New Orleans Pelicans last season. THE HOUSTON ROCKETS ARE GOING TO BE THE GREATEST TEAM IN NBA HISTORY NEXT SEASON!!! !